Families joke about taking a vacation to a conveniently located relative’s house, maybe in Orlando or Branson, and crashing on the couch. Hold your guffaws, because crashing on someone’s couch is now a great way to see the world. We’re talking about the website Couchsurfing.com and the concept is exactly what you might imagine â€“ a dream come true to adventurous travelers and nightmare to those who have seen the Saw movies one too many times. It goes like this. A network of people offer up space on their couch to others in the network. Geographically speaking, this network, called Couchsurfing, covers most of the countries in the world. All you have to do is make contact with a host through the network, say they’re in Costa Rica, and, whammo, you have a free place to sleep. We did say free, though it would be awful neighborly of you to offer to do the dishes or take out the trash or paint the house, depending upon how long you plan stay. In truth, even though it’s called couchsurfing, many hosts actually have a spare bedroom you can use. If this idea doesn’t send you immediately running for the mace, it might actually be a very inexpensive way to get a firsthand taste of a foreign country or even state you’ve never been to in the United States. Jetsetter can’t answer every question you might have right now. 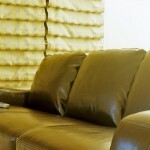 Why not head over to Couchsurfing.com and give it a browse?